We don’t hear enough about the O’Connells of Cullohill, yet numerous members of this close-knit large family have been central in the development of the Irish food scene over the past decades. Savour Kilkenny wishes to acknowledge the marvellous contribution that our neighbours from Co. Laois have made to the ‘renaissance’ of real Irish food, by hosting this very special event for Savour 2018. The O’Connells attribute their culinary successes to their late mother Elizabeth, who was an extraordinary matriarch, gifted cook and savvy business woman. 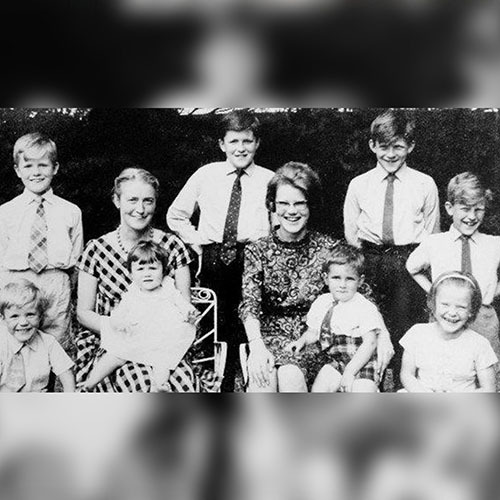 Widowed while expecting her youngest child, Elizabeth reared her nine children in the peaceful farming village of Cullohill while simultaneously running O’Connell’s pub (est. 1917), which was truly a ‘gastro-pub’ long before the term was known! Savour host Edward Hayden will speak to Tom, Richard, Blathnaid, Darina, Rory, and Patrick, to look at the history and influences behind the O’Connell food legacy. He will also discuss and explore the challenges of the industry and how Ireland should shape its food landscape for future generations. This discussion promises to be full of insight and stories about how this special family all came to be amazing food revolutionaries.